Boy do I miss my kitchen. We have been up to our ears in a full kitchen renovation for the past three weeks and we’re finally in the home stretch of getting our counter tops, back splash and lighting installed. I’m over going out to eat, fast food and all around packaged stuff. I want to cook! Knowing that one of the things I love to do was going to be put on hiatus, I made it a goal to make a lot of home cooked meals and a few date night ins before we couldn’t enjoy our kitchen any longer. 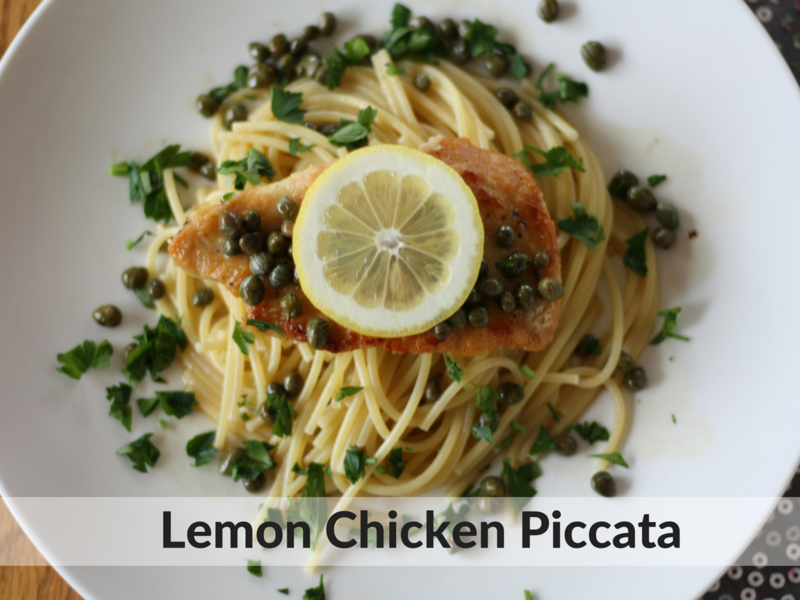 One of my favorite meals, especially for a date night in is Lemon Chicken Piccata. It’s one of those meals that has good memories for me, and I think we had it at our wedding. Don’t quote me on that – we had a big buffet. 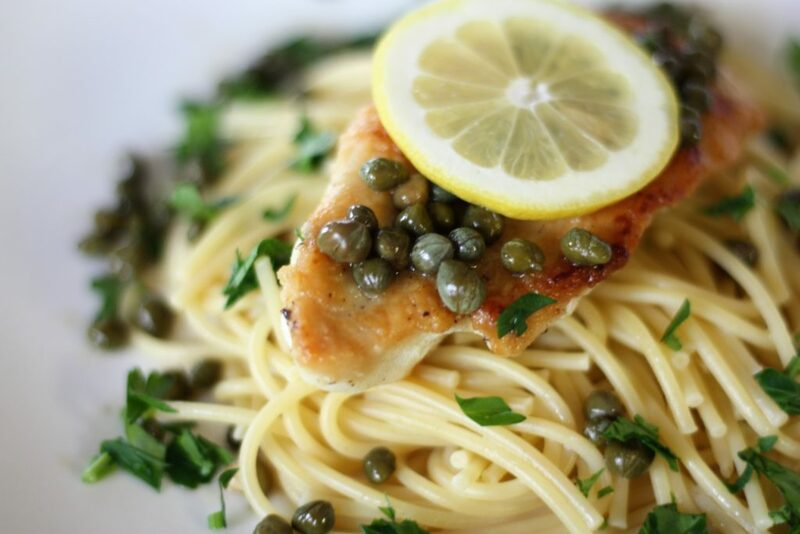 Chicken Piccata is one of those meals that is so easy to whip together and looks like you were cooking for hours. Often times we feel guilty always calling a babysitter for a date night, so years ago we started implementing date nights in. Jeff picks a great bottle of wine, we put Miss H to bed and I whip up a yummy late dinner and away goes all technology. It’s a great way to reconnect regularly. 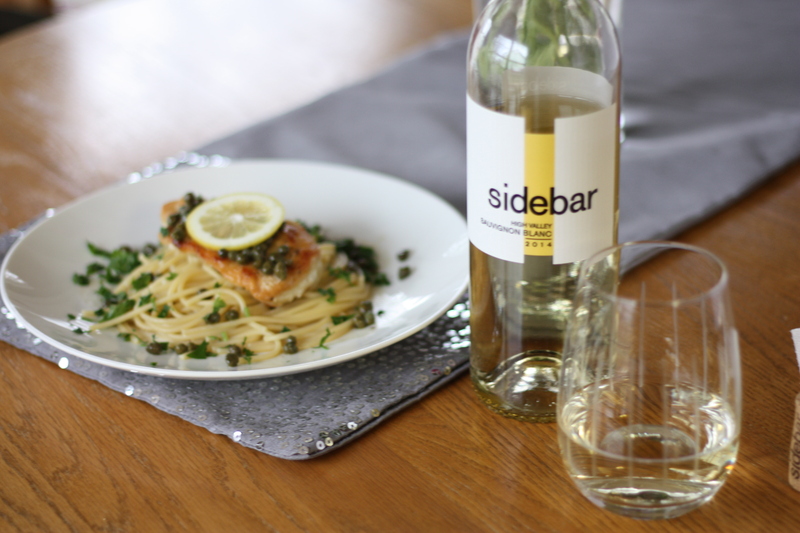 I generally have all the ingredients on hand for Chicken Piccata too. 1/3 Cup Dry white wine or Chicken Stock – I like a Chardonnay – but use what you like, and you’ll drink with dinner. If using chicken breast, cut lengthwise for 2 long pieces. Use a meat mallet and pound to quarter inch thickness. You want them thin! Season with salt and pepper and lightly coat in flour. Heat heavy bottom pan with 1 TBSP EVOO and Butter until golden on each size. Approx 3-4 mins. Remove chicken and repeat until all chicken is done. Keep chicken warm under foil or in oven. In a pot prepare 1 lb angel a hair pasta as directed on box. Typically 5-7 minutes till al dente. Add 1 TBSP of Butter to pan and whisk 1 TBSP of flour to make a roux. Add wine and chicken stock, lemon juice and bring to boil. Add capers, lemon zest, parsley and last TBSP of butter to give the sauce shine. Plate the dish with angel hair pasta on the bottom, 2 chicken pieces and then sauce on top. Garnish with parsley and lemon. Enjoy! So there you have it. 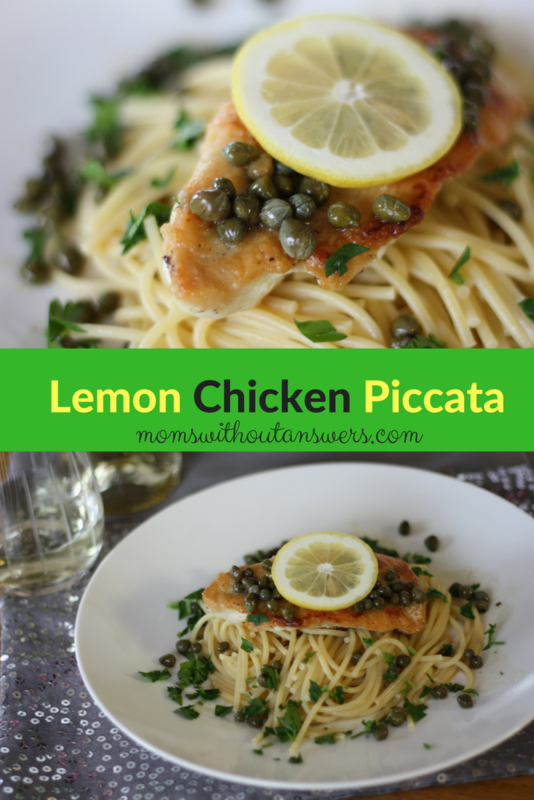 Easy Lemon Chicken Piccata you can make in under 30 minutes. 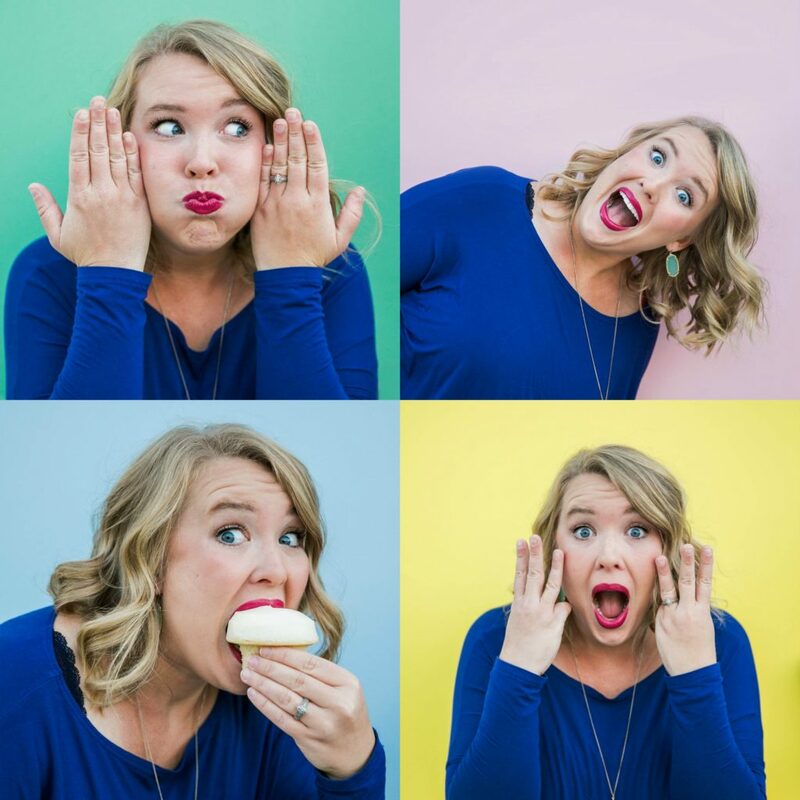 In the great words of Ina Garten – How easy is that? 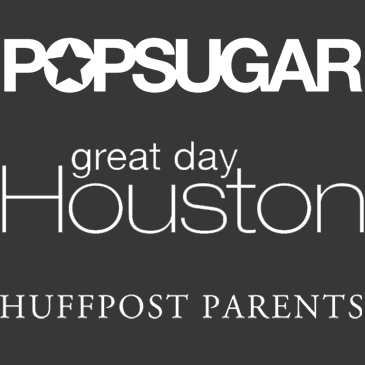 Do you have date nights in? Do you ever have any special requests for your dinner?